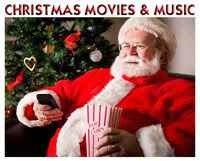 Its a Wonderful Movie - Your Guide to Family and Christmas Movies on TV: Celebrating My BIRTHDAY with DORIS DAY!!! 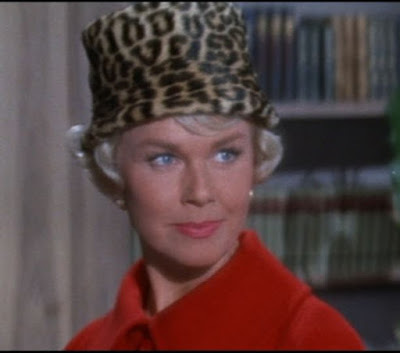 -- A Dazzling Look at Doris Day's Flair for Fashion in Film!!! 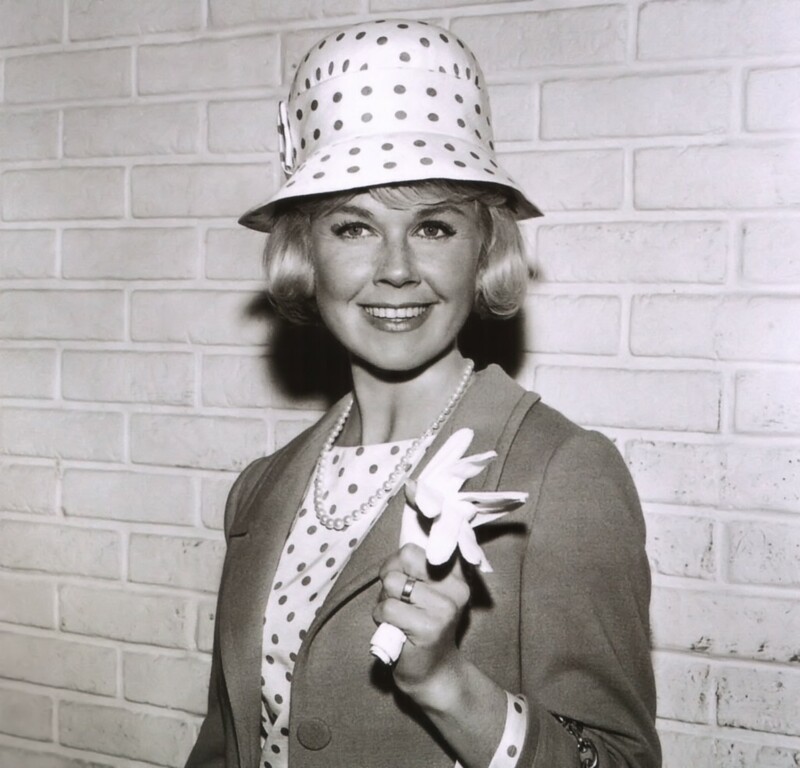 Celebrating My BIRTHDAY with DORIS DAY!!! 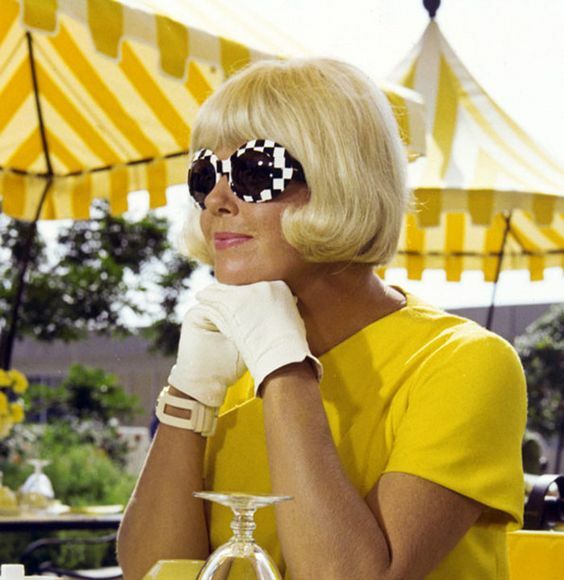 -- A Dazzling Look at Doris Day's Flair for Fashion in Film!!! Today is Doris Day's Birthday!!! 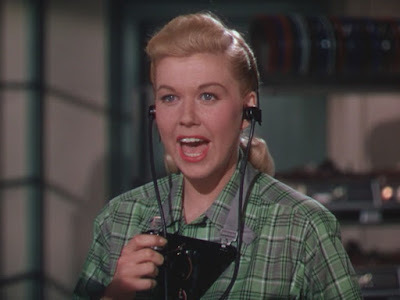 In honor of this special occasion, I have joined... "The Doris Day Blogathon" hosted by: "Love Letters to Old Hollywood", which is taking place April 1-3! 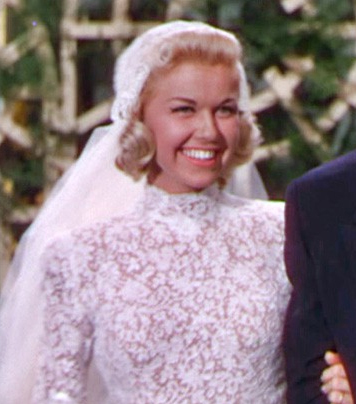 For this 3 Day Tribute to Doris Day, Bloggers were asked to "write about anything relating to Day -- her films, her music, her personal life, her work with animals, her role as a style icon, the list goes on!" The clincher was there were to be "no duplicates." 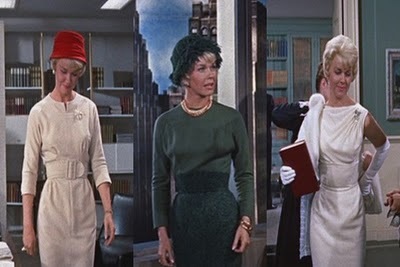 Since most of my favorite Doris Day films were already chosen by other writers, I decided to feature a post today ALL about the Fashion of Doris Day in Film! And, if you are familiar with Doris Day's movies, then you already know - her fashion was a significant factor in each of her films! 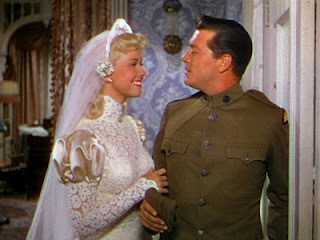 all come to mind when I think of Doris Day movies! 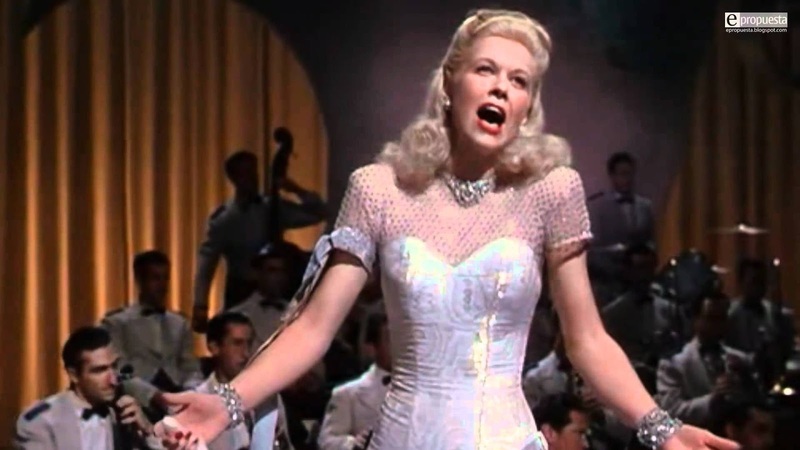 As I've looked deeper into her films, I've realized how often Doris transforms from one persona to another, most often Girl-Next-Door to Glamour Girl Movie/Singing Star. 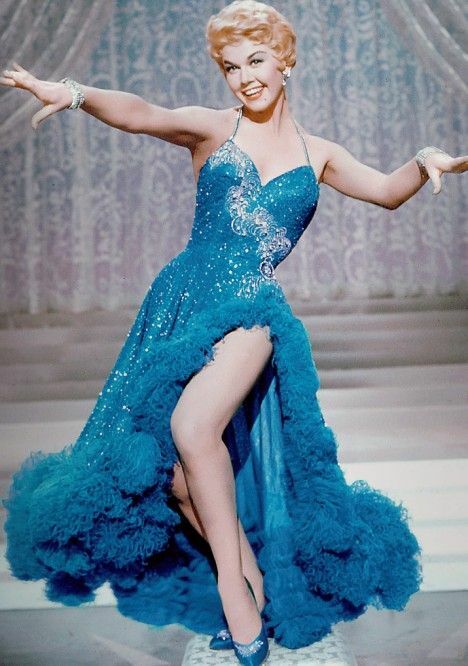 Instead of your simple standard Night and Day transformation, I call it... from Night to "Doris" Day! 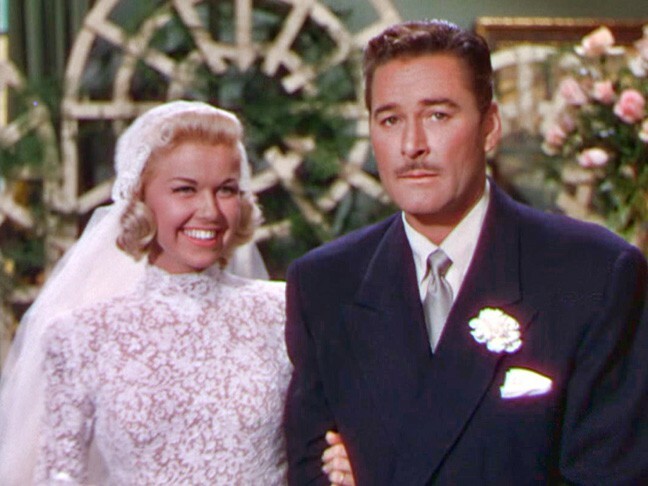 There's no denying how striking Doris Day was on the big screen, whether in black & white, Color, or Technicolor in 1948 - which is where her film career began with 'Romance on the High Seas.' I can only imagine what movie goers and producers back then must have thought of her as she was the ultimate triple threat. 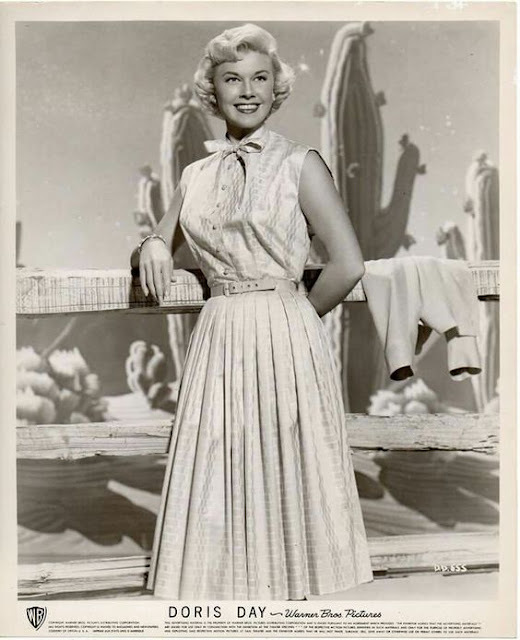 Doris Day could ACT (what a fun, warm, spirited personality she has - which shined on and off screen! ), SING (oh my, what a beautiful, cheerful, lilting voice! 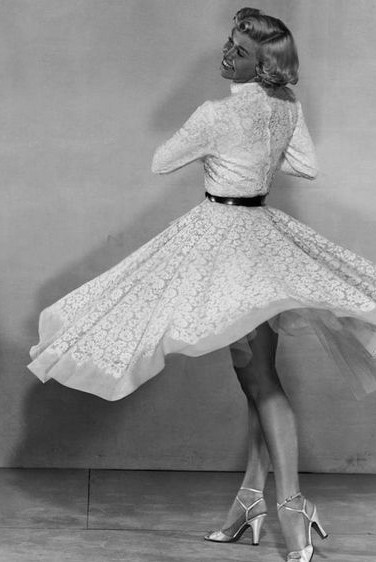 ), and DANCE (she could rival and keep up with all the greats!)... 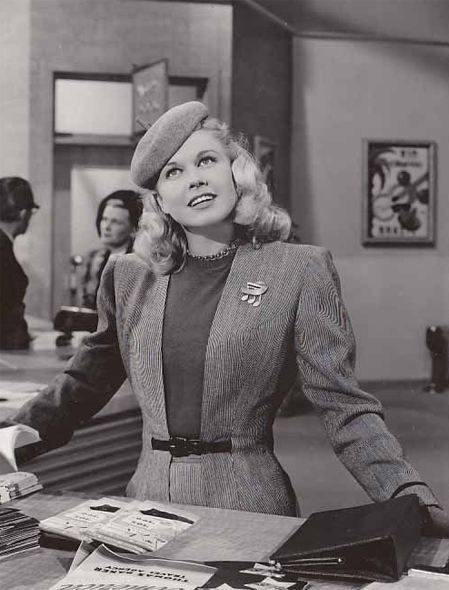 and yes, she was quite Lovely on screen, too!!! 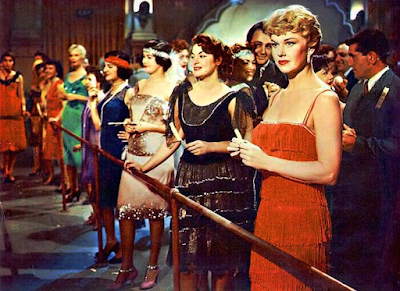 "the Girl next door" - to "Singing Sensation!" 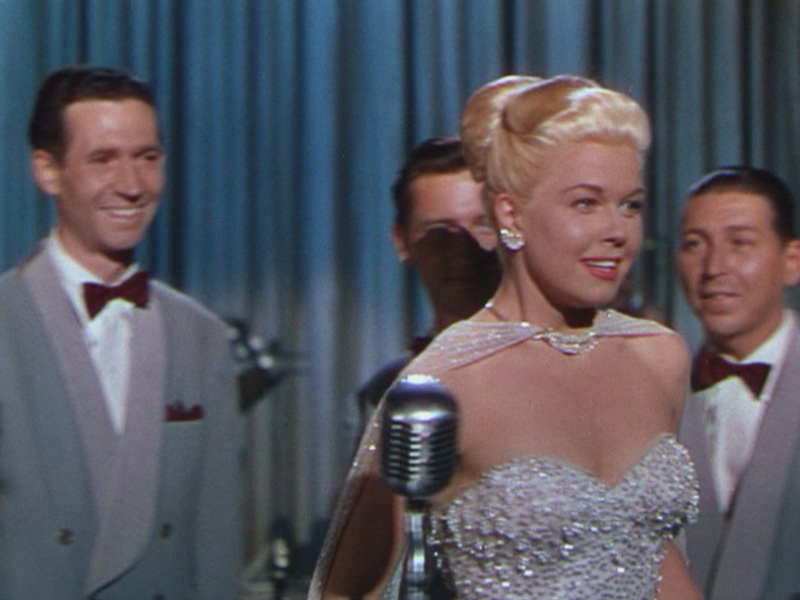 Doris Day screen cap - "Its A Great Feeling"
and a sparkly strapless dress! 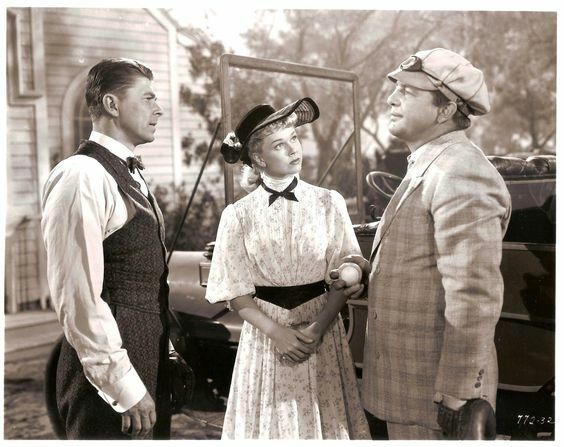 In "On Moonlight Bay" and "By the Light of the Silvery Moon" Doris Day blossoms from a rough and tough sporty Tom-Boy into a genteel blushing feminine beauty! 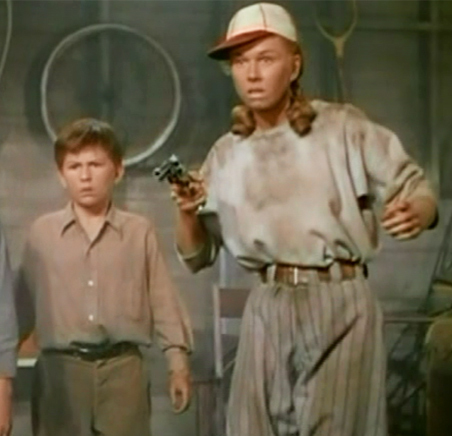 screen cap image via: "On Moonlight Bay"
Yes, that's Doris in the baseball uniform and dirt on her face! 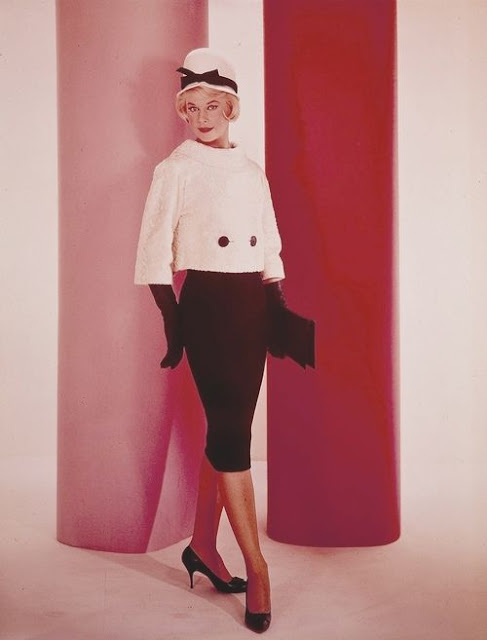 A cardigan with pearls was the perfect look for Doris Day in 'Tea for Two,' as she practiced singing along with Gordon McRae a special tune!!! 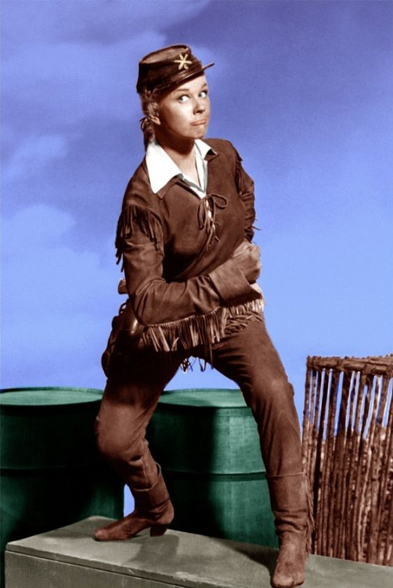 Doris Day in "Please Don't Eat the Daisies"
Doris Day's look in 'Calamity Jane' is probably her biggest night & "Doris" day transformation! 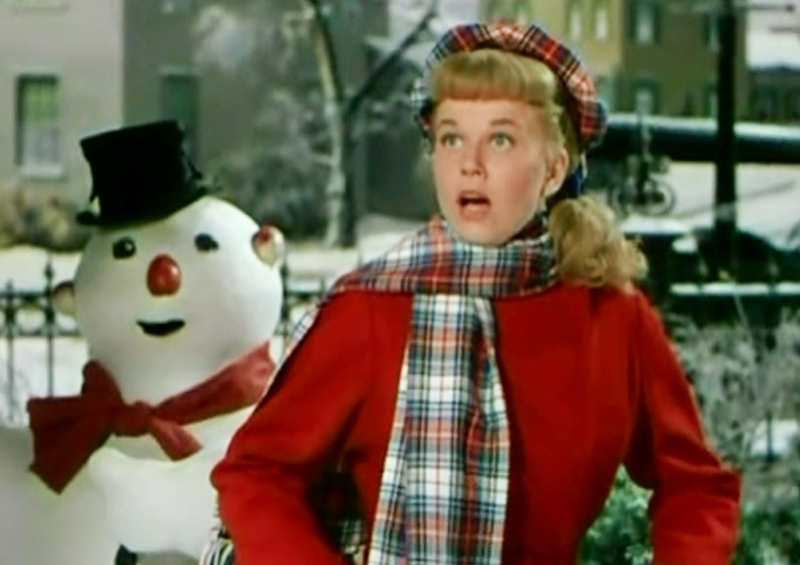 Now, this looks more like the Doris Day we are used to seeing! 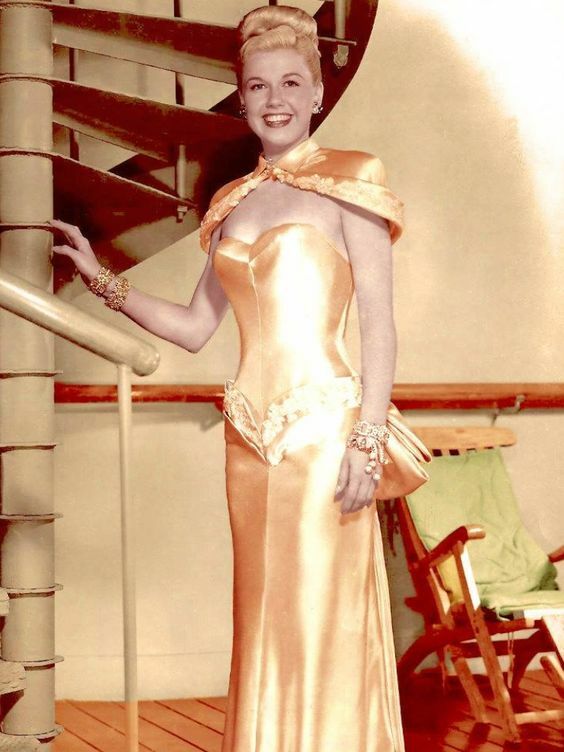 Love her in this sunshiny yellow dress! 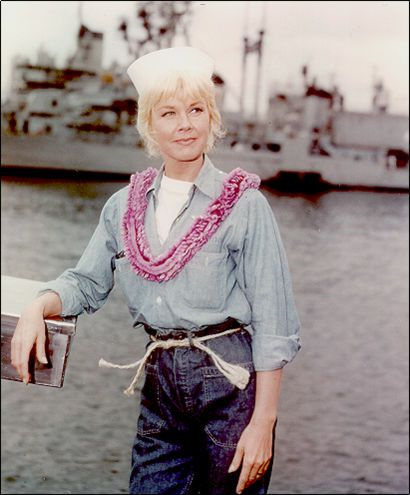 Doris Day looks like a Sailor girl... after being rescued off an island, by Sailors, in "Move Over, Darling." Doris Day in "April in Paris" wearing the perfect fit and flare dress! 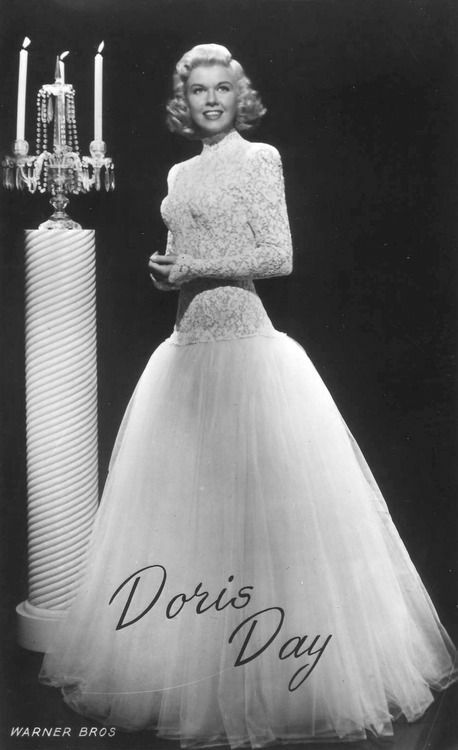 Doris Day in "April in Paris"
were the ideal style by "Day" for Doris Day! 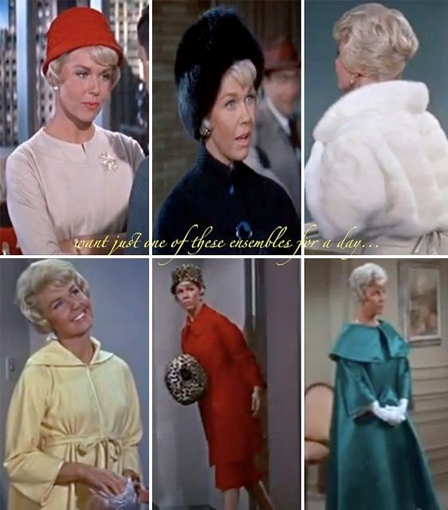 Doris Day in "Lover Come Back"
Doris Day in "Pillow Talk" & "Lover Come Back"
Doris Day looking mod in "Caprice"
Doris Day and (future President) Ronald Reagan in "The Winning Team"
Doris Day in promotional shot for "Lover Come Back"
with your beauty & grace! As a film and TV icon, your spirit shined through all the characters you portrayed! 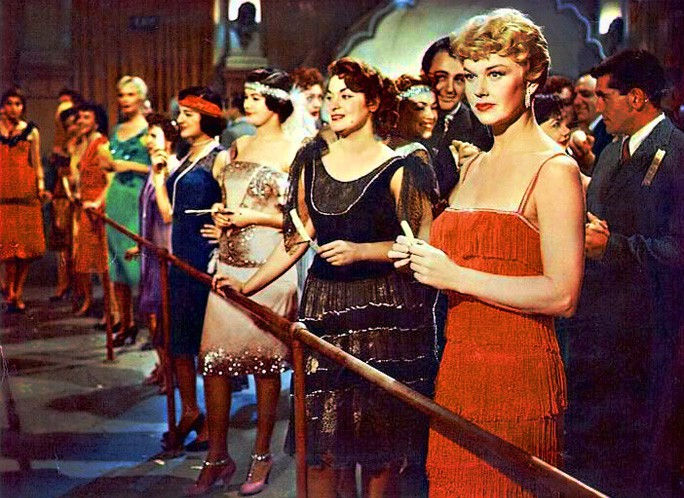 From comedy, romance, suspense, and dramas... you have kept your audience captive, laughing, crying, and cheering along with you and singing a happy tune! God's Blessings on your Birthday! 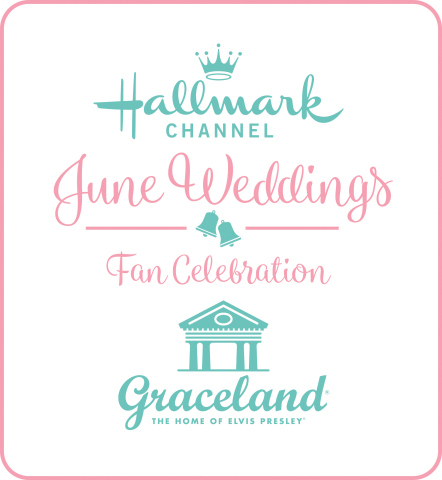 I am thrilled to share my day with you! 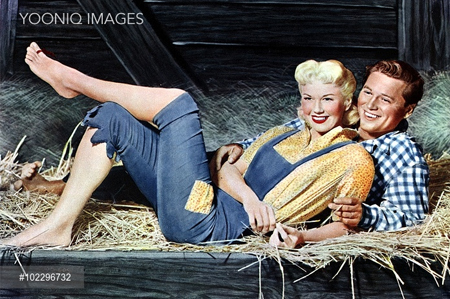 TCM will have a Special Marathon of Doris Day Movies Today! 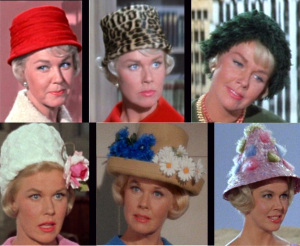 My Personal Favorite Films with Doris Day are... "Move Over Darling," "The Thrill of it All," "On Moonlight Bay," "By the Light of the Silvery Moon," and Many More! 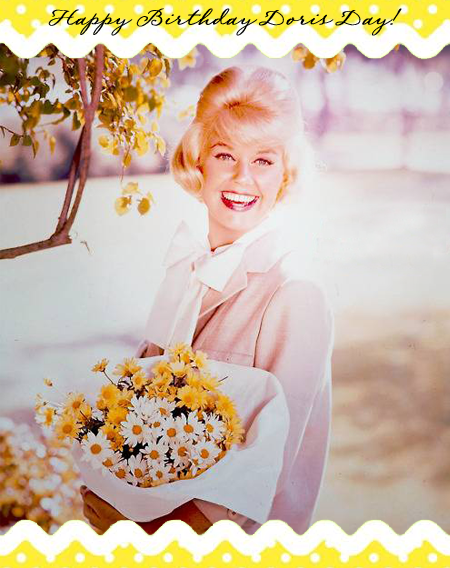 Please, Please, Don't Eat the Daisies... but do share your Favorite Doris Day Movies, too, in Comments Below!!! HAPPY BIRTHDAY NET! 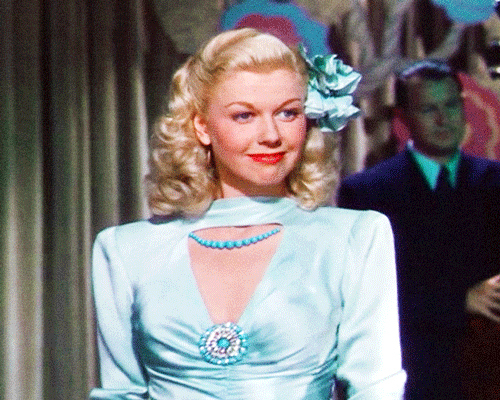 I'M NOT A HUGE FAN OF DORIS DAY BUT I AM A HUGE FAN OF YOU! YOU'RE SUCH A BLESSING TO US ALL...THE STAND THAT YOU TAKE FOR CHRIST MEANS EVERYTING TO ME. BLESSINGS TO YOU AND MAY YOU HAVE MANY MORE BIRTHDAYS TO COME! Thank you, Joyce! Your thoughtful words mean so much to me! I feel so blessed to do what I do - and it's an even greater blessing to know such kind people - like YOU! Happy Birthday, Net! I hope you have a wonderful day! I have always been partial to Doris' film "The Glass Bottom Boat" because of its connection to Catalina Island (where some of it was filmed). Catalina is one of my favorite locations in Southern California because of its beauty (see Ryan Paevey's recent Instagram photo taken at Two Harbors) and quirky beach town feel. The Glass-Bottom boat is one of the biggest tours offered on the Island. Thank you so much for the Birthday Wishes, Sherry! I absolutely did have a Wonderful Day - sharing it with all my precious family! 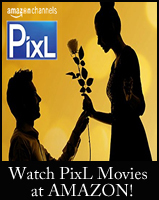 I enjoy all of her movies, but especially the romantic comedies. My absolute favorite is "The Glass Bottom Boat." The cast in that one is so fun! I know just what you mean, Susan... as I love the Doris Day Comedy movies, too! 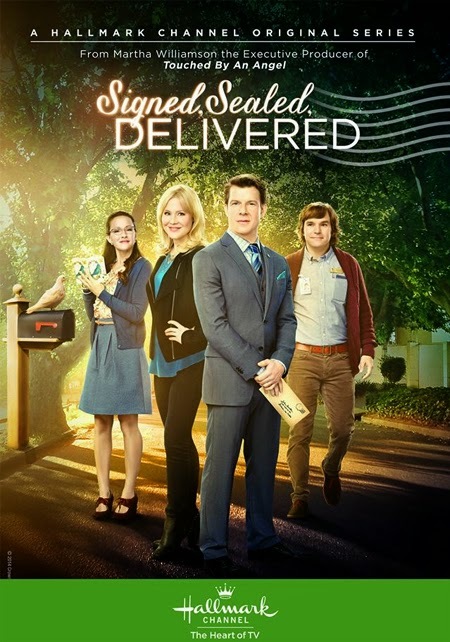 I tried "Julie" and "Midnight Lace," and the second one is pretty good for a suspense, but I really love those comedies best!! Except... I still love "The Man Who Knew Too Much!!!" 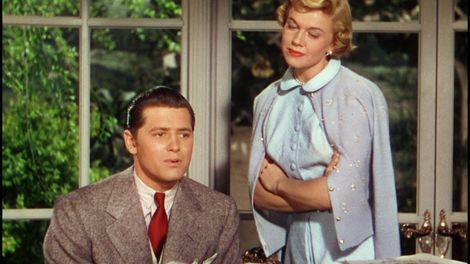 But mostly... like you, I love it when Doris Day is funny on screen and makes us laugh!!! Thank You so much for the sweet birthday message! I certainly did have a wonderful day - celebrating with all my family- which is, as always, the best gift!!! Happy Birthday, Net! You're a real class act, just like Doris Day! I noticed the background changed to yellow for April and the new banner looks terrific! I don't know how you do it, but thank you for making this website one of my favorites to visit every day! Happy Birthday! 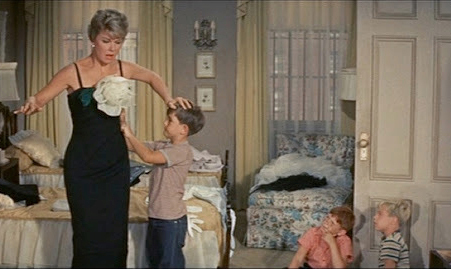 Forgot to mention my favorite Doris movie! It's On Moonlight Bay. I see it's one of your favorites, too! 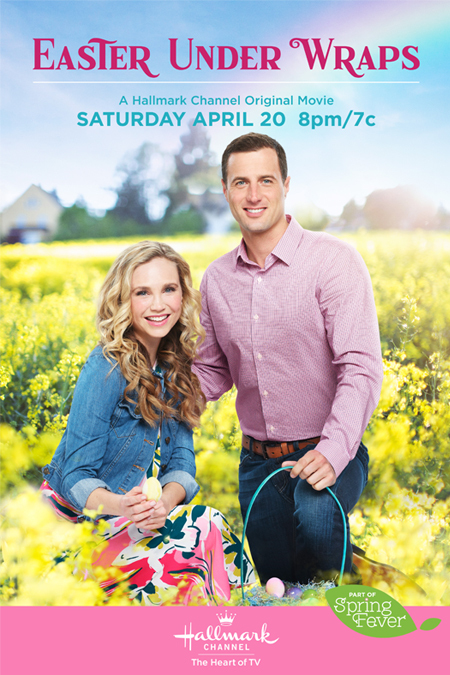 Yes, "On Moonlight Bay," is one of my favorites, too! Good pick!!! Happy Birthday to two very special ladies! 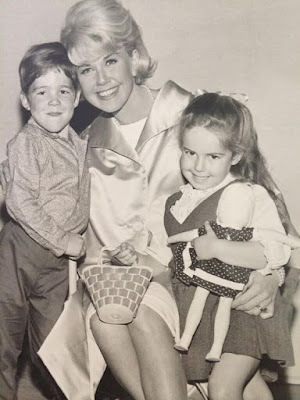 Net, what a beautiful tribute to our lovey, talented, beloved Doris Day!! 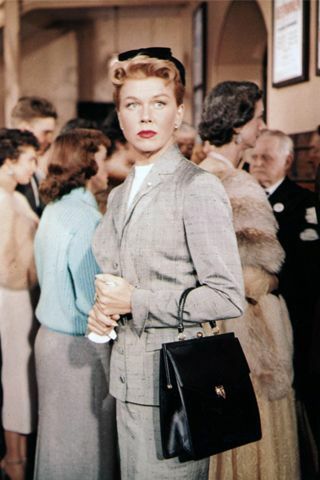 You must have spent hours collecting all of the pictures and movie tidbits that made her so special and wouldn't it be great if she could see your post! 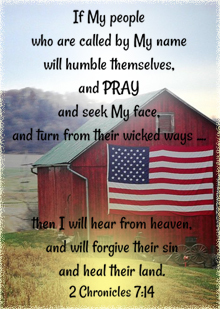 May God bless you, Net, and grant your inner most desires and continue to strengthen you in all your good works that benefits so many, like me, who have been so enriched by your website! Happy, Happy Birthday, sweet Lady!! 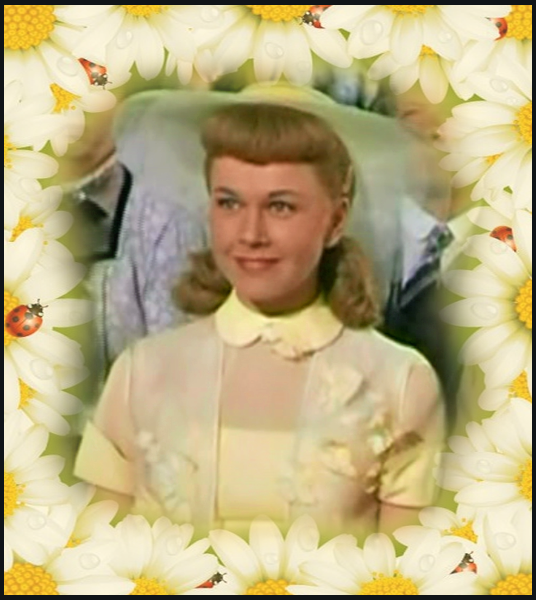 Thank you, Linda, for your warm-hearted, thoughtful, gracious, considerate, friendly birthday message - for Myself & Doris Day!!! You always have such a beautiful way with words and make me feel so special - which is a gift, in itself!!! Truly!!! This special post did require quite some time to assemble and gather all the pictures above, but I was delighted to do it, and hopefully the outcome is something people will enjoy stopping in to see for now and years to come!!! Thank you, again, Linda! I always look forward to hearing from You, on any subject!!! May you find strength and encouragement in the Lord today and be rewarded for all the joy and gladness you have showered on myself and others!!! Wishing you a most wonderful birthday, Net, and many, many blessings since you are indeed a blessing to all of us! Oh, thank you, Mark, for blessing me with that thoughtful birthday note! That is so sweet of you to say - you certainly brought a smile to my face!!! 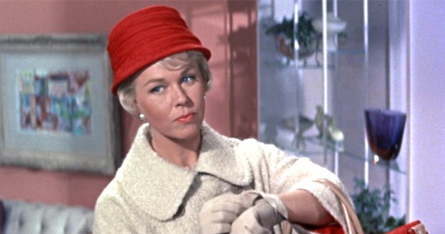 Doris Day is just another one of those lovely characters that gives me warm pleasant memories of my younger days. I think I may still be in love with Donna Reed though...haha. Memories are like treasures, I always say, sometimes hidden, but with one small reminder - we dig them up again. They're worth is far more than diamonds or any Pirate loot! Thank you, Jim, for sharing your treasured memories with us! 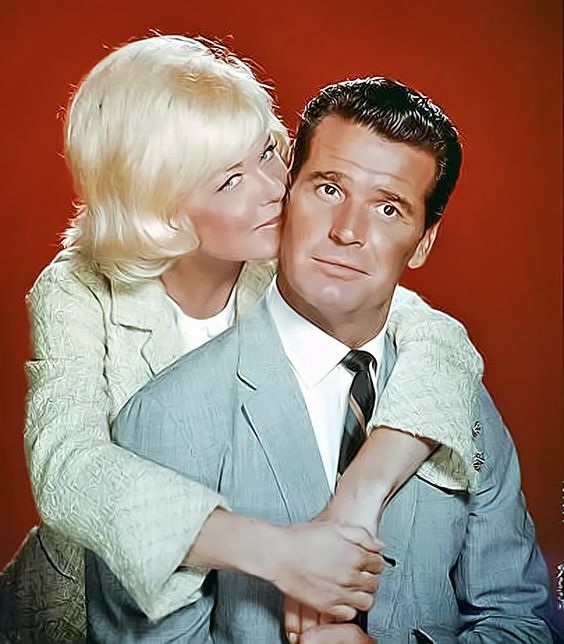 The Doris Day era sounds like it was a wonderful time! I adore all the classics on TCM... always thinking about the ones who were blessed to see those movies first in the theater! Happy birthday! 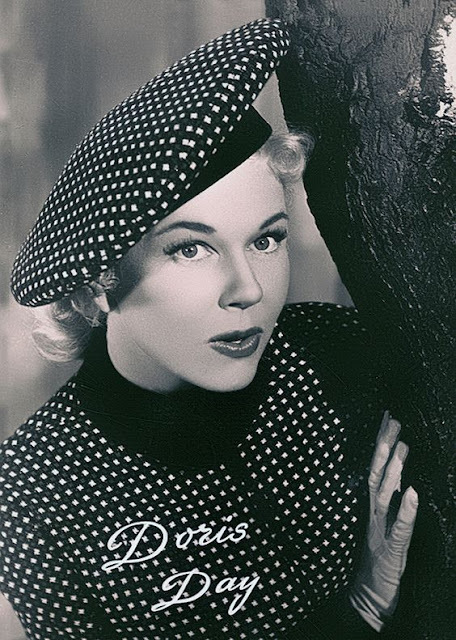 How lucky are you to share a day with someone as special as Doris. 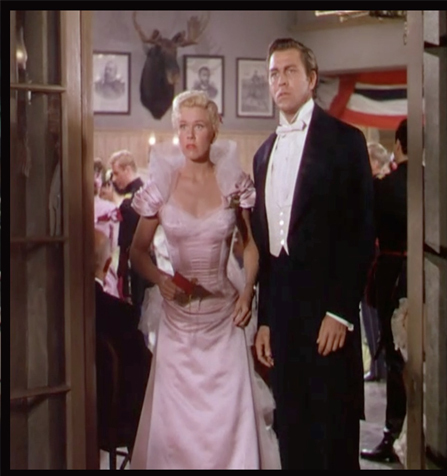 I'm so glad you joined in my blogathon with this post. 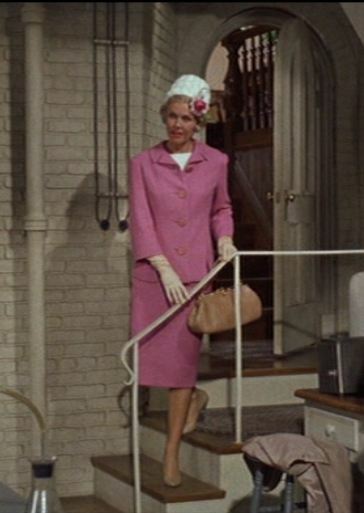 Doris's fashion is essential to her movies and image, after all! Thank you, Michaela, for creating this lovely Doris Day Blogathon Event - and for including my post above in it! 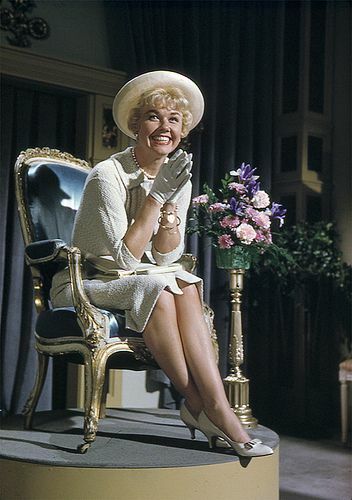 I do, indeed, feel very blessed to share my "day" with Doris Day!!! 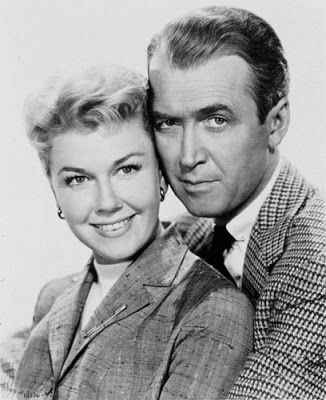 *If anyone wants to see all the Blogathon listings for Doris Day, please visit Michaela's web-site: Love Letters to Old Hollywood! Thank you, Madelon! That means so much to me! I appreciate you letting me know! 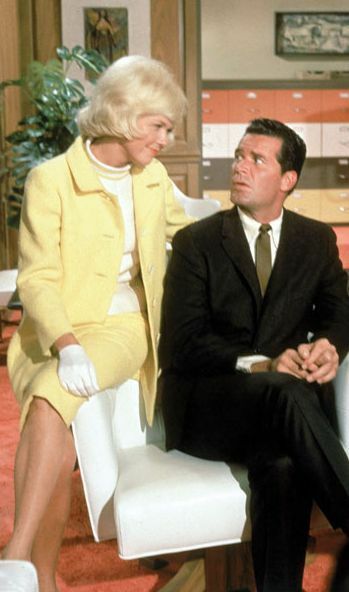 Move Over Darling is my favorite Doris Day comedy. 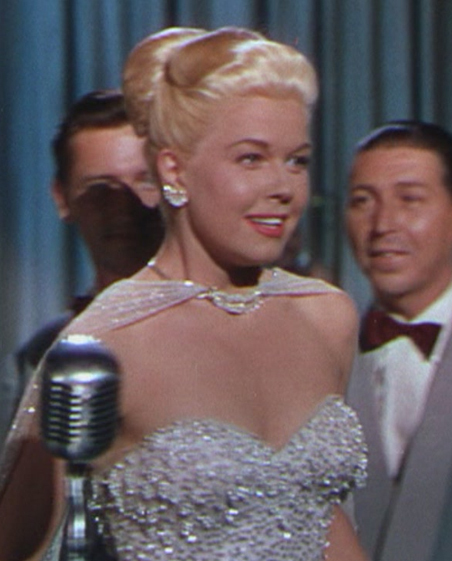 But Love Me or Leave Me is my overal favorite, because it showcased Doris Day's acting abilities. Thank you for sharing, swish1014! 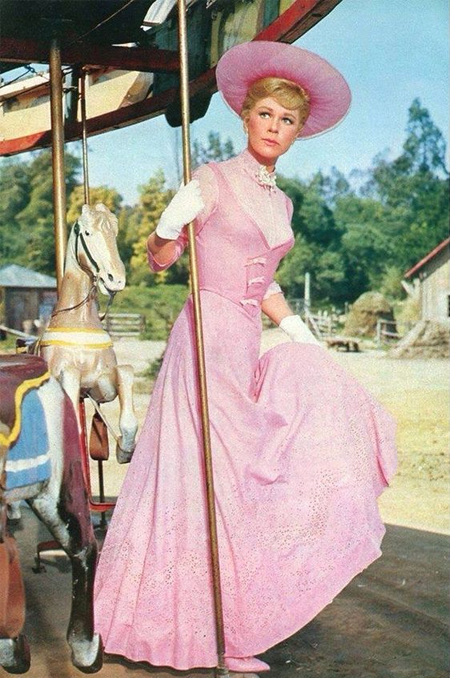 Great Doris Day movie picks... she was truly fantastic in so many of her films!!! 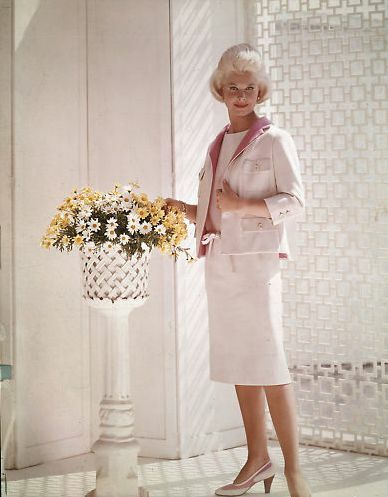 So enjoyed your look at Doris Day's fashions! 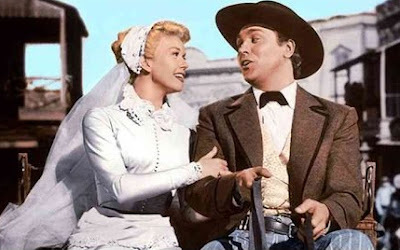 It's funny, but I grew up watching Calamity Jane, so I never associated her with fashion, and even now, when I've seen over twenty of her films, I still hadn't gotten over my initial association of her with Calamity. But your post has brought home to me just how important fashion was in her films. Thanks! It's funny how an initial introduction leaves such a lasting impression! 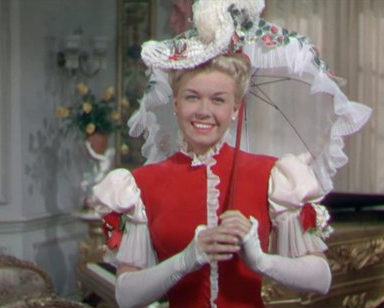 When I was growing up, I mostly associated Doris Day just with her singing and then later on, I saw most of her films, through TCM or DVD. She was quite an elegant movie star, and yet, she seems so familiar, like the girl next door, sometimes awkwardly shy, timid, and reserved. Which I guess is why fans always cheered for her to come out of her shell and blossom and shine- as she always did! 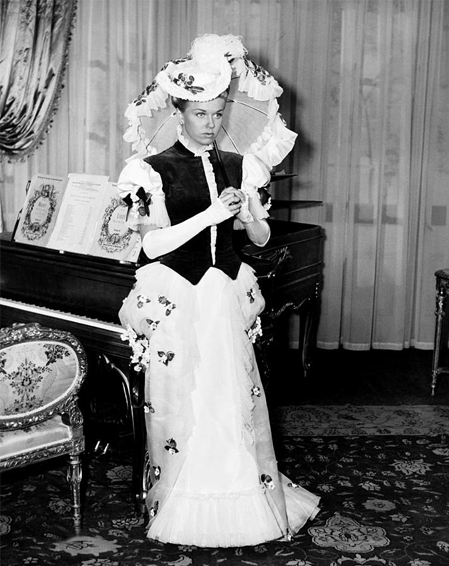 Doris Day's style in her movies, often times, helped to convey the story. 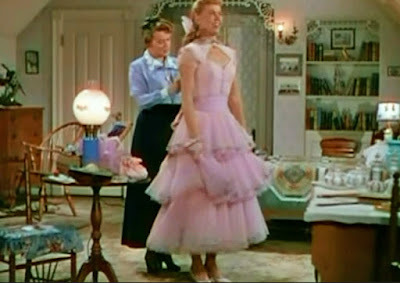 I'm so glad you enjoyed this post on fashion, and how different Doris' fashion was in each of her movies! Thank you so much for the Birthday Wish, Sarah! It is, indeed, fun to share my "Day" with Doris!!! Happy Birthday to you, too, Virginie!!! I'm so glad you shared this news and I'm truly delighted we all share our special "Day" together! *Also, Virginie wrote a beautiful post for the Doris Day Blogathon, titled: "It’s a Doris Day!" You can read it, HERE! 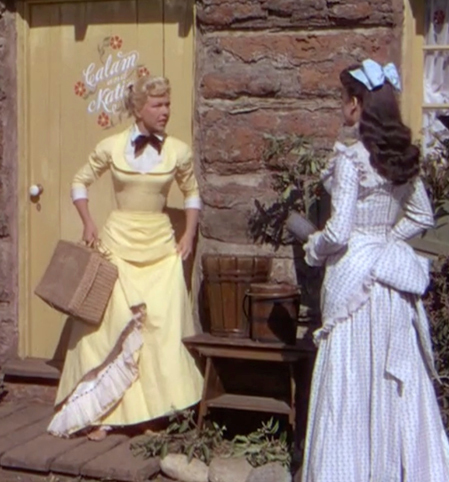 My absolute favorite Doris Day film is Calamity Jane and I love that yellow dress, too!